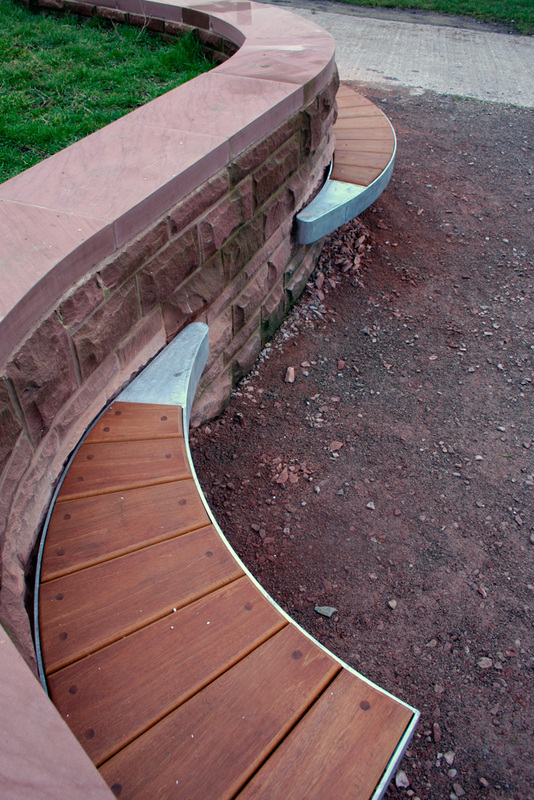 5 x bespoke steel & hardwood seats fitted into retaining stone walls. 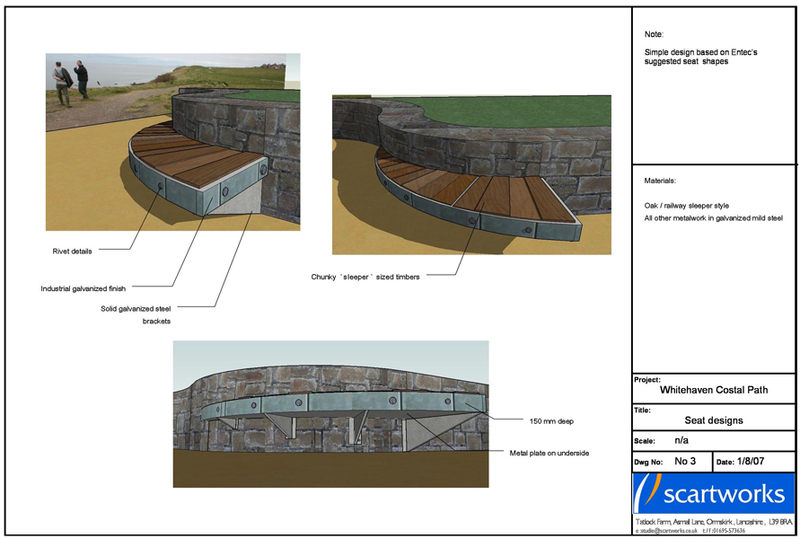 As part of a 5 million pound land reclamation scheme, Scartworks worked in partnership with the National Trust and the landscape architects Entec to design 5 seating areas to compliment the post-industrial landscape. 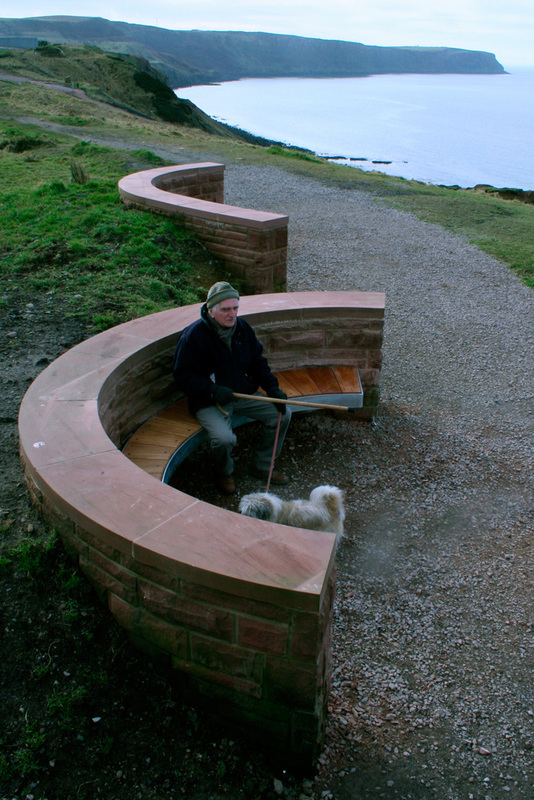 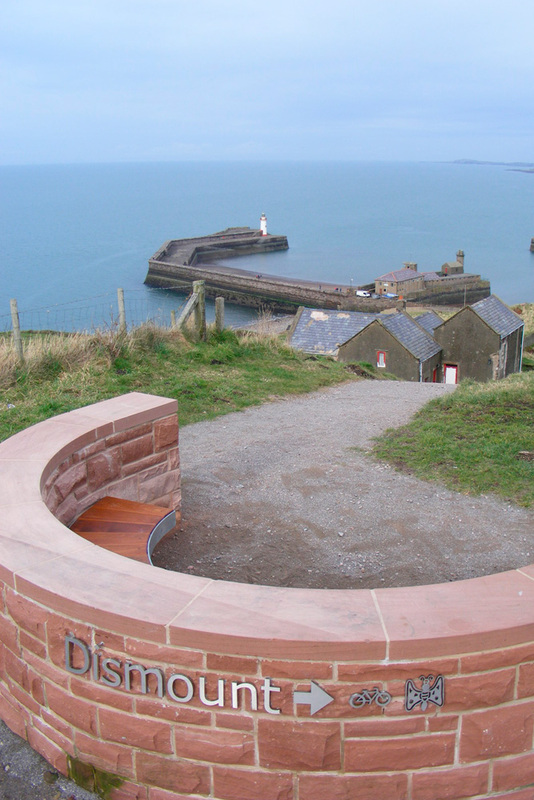 The seats were fabricated to fit within the curvatures of retaining walls which were built into the landscape.